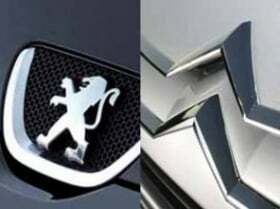 PARIS -- PSA/Peugeot-Citroen may cut 10 percent of its workforce in France, or 10,000 jobs, in the coming weeks in response to a slowing economy, according to French newspaper reports. PSA could eliminate 10,000 jobs classified as temporary, French daily La Tribune said Friday, without citing a specific source. According to Les Echos, the Aulnay-Sous-Bois plant, near Paris, which builds the Citroen C3, will be a target for cuts. PSA will close its central logistical hub for parts at Melun-Senart, near Paris, in February 2012, a company spokesman told Automotive News Europe on Friday. The spokesman said that all workers had been offered alternative employment at the new parts center in Vesoul in northern France or in PSA's French production plants. PSA said reports that 10,000 jobs will be cut are "premature." At last week's Frankfurt auto show, PSA CEO Philippe Varin said the automaker would consider the future of its Aulnay plant as part of company plans to defend profitability in the face of a possible European recession. "The future of Aulnay is guaranteed until 2014, but what happens after that is something we still have to work on," Varin said. The C3 subcompact is scheduled to be replaced in 2014.